Alcazar #2 Maduro is handmade in Nicaragua and wrapped in a Connecticut Broad leaf Maduro. 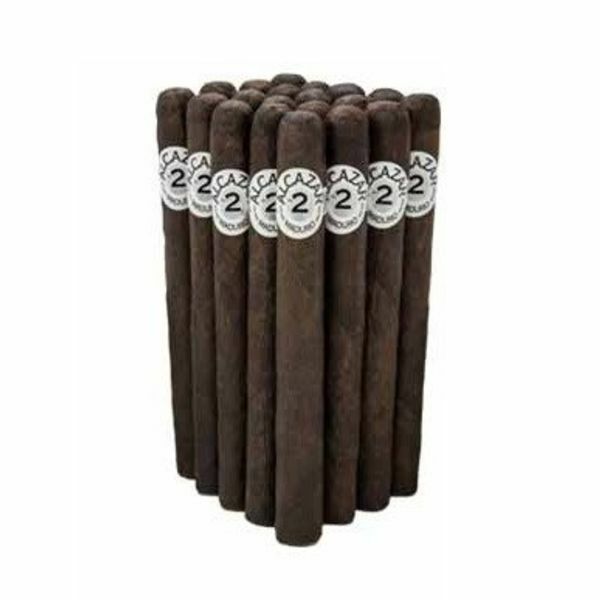 These medium bodied cigars are well constructed and feature a thick, earthy smoke. Alcazar cigars were created in 1898 to recognize the prize-winning race horse at that time. Realizing the huge possibilities of this vanishing brand, J.C. Newman offered to buy Alcazar and added the cigar to his company portfolio. It is clear J.C. had an eye for great cigars because this significant brand is still available from J.C. Newman Cigar Company today. Relaunched in the 1990s, the handmade cigar is aged with Nicaraguan binder and long filler and a Maduro Connecticut Broadleaf wrapper that does double duty to bring extra chocolatey, earthy flavors with undertones of spice. The well-aged medium bodied Alcazar Maduro’s larger ring gauge creates a dark rich blend and pairs appropriately with a similar aged whiskey. Seek out a smoky one such as Black Grouse. The blended scotch whiskey from has a natural smokiness and peated malts with hints of wood. Enjoy over a large ice cube or neat or try a classic Rob Roy. In a shaker filled with ice, add the Scotch whiskey, the sweet vermouth and the bitters. Stir to chill. Strain into a martini glass (or an equally alluring vessel) and top with a lemon peel.